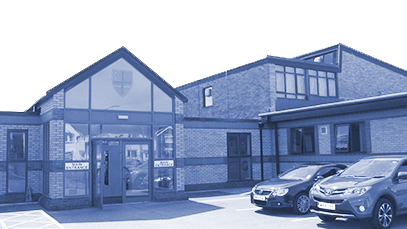 PUPILS ARE PROUD TO BELONG TO CARDINAL ALLEN CATHOLIC HIGH SCHOOL; THEY ARE GREATLY APPRECIATIVE OF ALL THAT THE SCHOOL PROVIDES AND HOW IT SUPPORTS AND NURTURES THEM. STUDENTS FEEL VERY SAFE. THE SCHOOL IS RIGOROUS IN KEEPING ALL STUDENTS SAFE. STUDENTS ARE CARED FOR VERY WELL. STUDENTS BEHAVE OUTSTANDINGLY WELL. THEY ARE COURTEOUS AND POLITE, RELATE VERY WELL TO EACH OTHER AND TO ADULTS AND ARE VERY HAPPY AT SCHOOL. THE WELL-BEING OF ALL STUDENTS IS AS HIGHLY REGARDED AS THEIR ACADEMIC SUCCESS. THE CURRICULUM IS A REAL STRENGTH OF THE SCHOOL. THE SCHOOL REVISES ITS CURRICULUM EFFECTIVELY IN THE LIGHT OF THE NEEDS OF ITS STUDENTS. THE CURRICULUM ENSURES STUDENTS ARE VERY WELL PREPARED FOR THE NEXT PHASE IN THEIR EDUCATION OR TRAINING AS WELL AS FOR LIFE IN MODERN BRITAIN. THE SPIRITUAL, MORAL, SOCIAL AND CULTURAL EDUCATION OF STUDENTS IS OUTSTANDING AND AN INTEGRAL PART OF SCHOOL LIFE. I hope that our website and prospectus provide you with the information that you are looking for and give you a sense of what we are about. If you should have any questions about the school or would like to visit us on a working day, please do not hesitate to get in touch.